Can I Enter Canada with an OUI? Operating under the influence (OUI) is the drunk driving term used in several states such as Massachusetts and Maine. Many jurisdictions prefer using OUI as opposed to DUI since the requisite act only requires the person to be operating a motor vehicle not actually driving which makes the common term of driving under the influence (DUI) somewhat misleading. Anyone found to be operating a motor vehicle with a blood alcohol concentration (BAC) above 0.08%, or under the influence of a narcotic, hallucinogenic, or intoxicant, may be charged with an OUI. Any foreign national that has an OUI on their criminal record may be criminally inadmissible to Canada unless they have received special permission. Permission to travel to Canada with OUI charges comes in the form of Criminal Rehabilitation or a Temporary Resident Permit. Criminal Rehabilitation can empower a person with an OUI to be able to cross the border for life, but is only available five years after a person has finished their sentence. 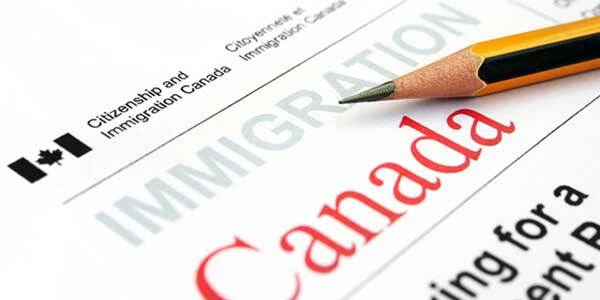 A Canada Temporary Resident Permit can grant entry to a person who has been arrested or convicted of operating under the influence but is only a short-term solution valid for a maximum of three years. If you have an OUI and want to go to Canada, contact our team today for a free assessment. Operating under the influence is governed by Massachusetts General Laws Chapter 90 Section 24. A first offense OUI can result in your driver's license being suspended for one year, a large fine, and up to 2 and a half years incarceration. It is possible to get a "24D" disposition for a first offense, which results in a 16-week drug alcohol education program and a "continuance without a finding" (deferred sentence) while you complete probation. A second offense OUI can result in a jail sentence of 30 days to 2.5 years, a fine, a two year driver's license suspension with a hardship license for work or education only possible after 12 months, as well as the requirement for an Ignition Interlock Device (IID) to be installed upon reinstatement of license. A judge may still consider a disposition program for 2nd offense OUIs which includes an alcohol treatment program. Melanie's Law has been in effect since 2005 and is aimed at repeat OUI offenders in the Boston area. 3rd-time OUIs and subsequent charges for operating under the influence can lead to a lengthy incarceration period in a state prison, and a license suspension for up to 8 years. Operating under the influence of alcohol is governed by Maine Revised Statute Title 29-A Section 2411. As soon as an individual is arrested for operating a motor vehicle under the influence or OUI, the Maine Secretary of State will immediately suspend their driver's license. Maine also has a zero tolerance law for underage drinking and driving, and any person under 21 years of age who is found to be operating a vehicle with any measurable amount of alcohol (0.01%) will be charged. Refusing a breathalyzer or a chemical test refusal (CTR) is also a crime in Maine. If the individual who police suspect is operating a car while impaired is under 21, they can be given an underage OUI if they have a blood alcohol level of 0.02% or higher. Depending on the circumstances, an under 21 OUI can also render a person inadmissible to Canada due to criminality, requiring a TRP or Criminal Rehabilitation to overcome. Contact our team of professionals today if you have any questions about Canada OUI entry.